The Swami Vivekananda is enjoying as great a degree of popularity on his present visit to Boston as he did when society, fashionable, intellectual and faddist, went wild over him on his former visit. . . .
. . . A New York paper published an interview with the Swami, in which he is reported to have expressed the opinion that in Boston "the women are all faddists, all fickle, merely bent on following something new and strange." But Swami Vivekananda says that this is an exaggerated and distorted presentation of a criticism which he made upon all American women, that they were too superficial and too prone to follow the sensational and to change from one thing to another. This he says his observation has forced upon him. The American women are intellectual, but they are not steady, serious and sincere. 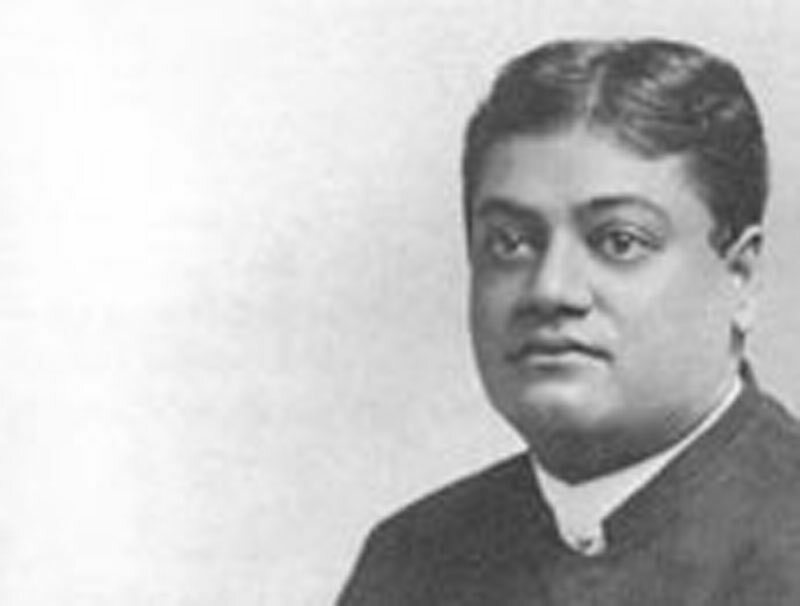 The first of the Swami's lectures was delivered before an audience of 400 people in the Allen gymnasium, Saturday evening on "The Science of Work," and the second one of the course on "Devotion" was given in the same place, the hall being filled and a number turned away unable to gain admittance. The lecture was exceedingly interesting and the speaker's manner was very magnetic. In his country, said the Swami, the gods were the "bright ones" who gave help to men and received help from them. The gods are only human beings who are somewhat elevated after death, but God, the highest, is never prayed to or asked for help. He is given only love and worship without anything being asked in return. There are two phases of this God, the one, the abstract God behind the substance of the universe, and the other the personal God who is seen through human intellect and given attributes by it. The love which is given to God never takes, but always gives, and it does not depend on anything. The worshiper does not pray for health, money or any other thing, but is content with the lot apportioned to him. People who ask about religion from mere motives of curiosity become faddists, they are always looking for some—thing new and their brains degenerate until they become old rags. It is a religious dissipation with them. It is not the place that makes heaven or hell, but the mind. Love knows no fear, there can be no love where it is. In love of any sort external objects are only suggested by something within — it is one's own ideal projected, and God is the highest ideal that can be conceived of. Hatred of the world does not drive good men from it, but the world slips away from the great and saintly. The world, the family and social life, are all training grounds, that is all. When one realizes that God is love, it does not matter what his other attributes are, that is the only essential. The more a man throws himself away, the more God comes in, hence self-abnegation, which is the secret of all religion and morality. Too many people bring down their ideals. They want a comfortable religion, but there is none such. It is all self-surrender and upward striving.